plumbing & indoor air quality needs 24/7. 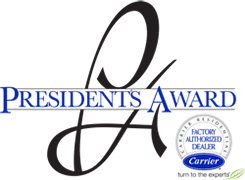 When searching for residential or commercial water heater, air quality, plumbing, heating, or cooling services in Elkhart, call the high-efficiency experts from Henry Smith Plumbing, Heating & Cooling! As a family owned and operated business since 1952, we've continued to focus on personalized attention and strive for new ways to improve job satisfaction. If you’re not 100% satisfied with your experience, our team of conscientious professionals will make it right! You can always count on our courteous and reliable technicians to be there for you when you need us. The Henry Smith Plumbing, Heating & Cooling team is dedicated to delivering services and products of the finest quality, and at an affordable price. We're here to fulfill your desired level of comfort the best way we know how. Our expertise can help keep your equipment performing at maximum capacity year-round. 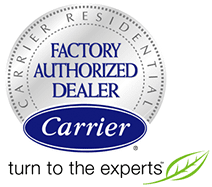 We also carry energy-efficient heating and air cooling units that help you save more on your energy bill and put less strain on the environment. 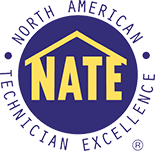 Our technicians are equipped to provide you with solutions custom-tailored to your individual needs, whether you request a repair, replacement, maintenance, or help with a complex installation. Request service from Henry Smith Plumbing, Heating & Cooling! Call (574) 914-4012 today or fill out our online contact form. Find out more about you available options. See what your neighbors think about us. You'll love being a part of our team. THE ONE-STOP SHOP FOR ALL YOUR PLUMBING, HEATING & COOLING! We take pride in the solid reputation we've built in our local community! Our customers know that when they need us for routine or emergency plumbing, heating, and cooling maintenance, we'll always be there to save the day.